A recent report published by Infinium Global Research on heat interface unit market provides in depth analysis of segments and sub-segments in global as well as regional markets of heat interface unit market. The study also highlights the impact of drivers, restraints and macro indicators on the global and regional markets of heat interface unit over the short term as well as long term. The report is a comprehensive presentation of trends, forecast and dollar values of global heat interface unit market. According to report the global heat interface unit market is projected to grow at a CAGR of 7.4% over the forecast period of 2018 - 2024. The combined solution for distributing and recording the heat consumed by an individual dwelling assisted from a centralized heating plant or district-heating scheme. HIUs provide localized controller and metering in a self-contained package, allowing simple combination of individual dwellings into a larger heating and hot water system. HIUs are divided into two categories: heating only, and heating with domestic hot water production (DHW). Rising adoption of district heating solutions in commercial buildings, apartments and industrial plant is the factor driving the growth of the market. Additionally introduction of the internet of things has enabled the heat interface units. However, high initial cost due to disposition of district heating systems is expected to restrict the growth of the global heat interface unit market. Moreover, the residential application of heat interface market is anticipated to grow during the forecast period due to the increase in usage of heat interface units for multi-housing apartment buildings, and other residential buildings is providing the growth opportunities for the key players in the heat interface unit market. The report on global heat interface unit market covers segments such as component and application. On the basis of component the global heat interface unit market is categorized into pumps, valves, controllers, sensors and heat exchangers. Furthermore, on the basis of application the heat interface unit market is segmented as commercial, industrial and residential. The report provides profiles of the companies in the global heat interface unit market such as, Honeywell, GIACOMINI, Bosch, Kingspan, Dutypoint, ALFA LAVAL, Docherty, Intatec, Rhico, and Caleffi. The report provides deep insights on demand forecasts, market trends and micro and macro indicators. In addition, this report provides insights on the factors that are driving and restraining the global heat interface unit market. Moreover, IGR-Growth Matrix analysis given in the report brings an insight on the investment areas that existing or new market players can consider. The report provides insights into the market using analytical tools such as Porter’s five forces analysis and DRO analysis of heat interface unit market. Moreover, the study highlights current market trends and provides forecast from 2018 to 2024. 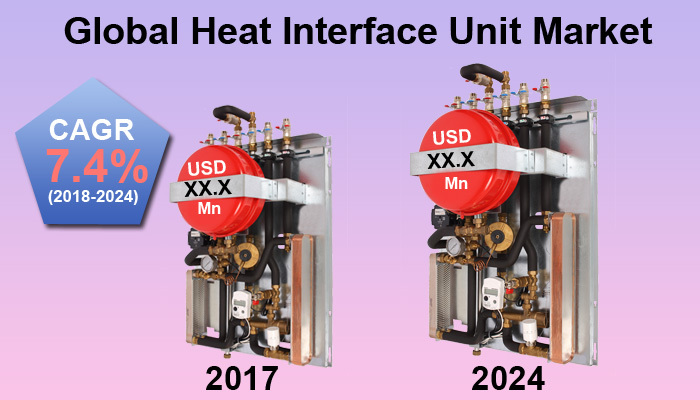 We also have highlighted future trends in the heat interface unit market that will impact the demand during the forecast period. Moreover, the competitive analysis given in each regional market brings an insight on the market share of the leading players. Additionally, the analysis highlights rise and fall in the market shares of the key players in the market. This report will help manufacturers, suppliers and distributors of the heat interface unit market to understand the present and future trends in this market and formulate their strategies accordingly.